Starting from the 1970s, the anti-apartheid movements of the European Community countries began to consult and coordinate more and more with each other, by exchanging information, releasing common statements, and organizing joint campaigns. Their action influenced the policies of the European Community (EC) governments and institutions towards South Africa, which in turn contributed to the definition of Western attitudes towards apartheid. Collaborative initiatives and joint activities by the anti-apartheid movements of the EC countries became more intense with the passing of time, yet their added value in the struggle against apartheid needs to be measured. 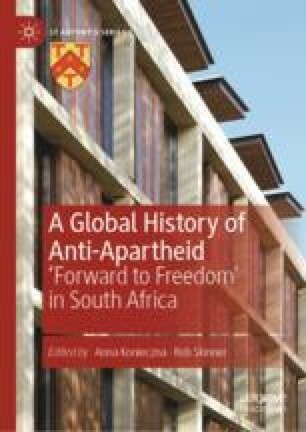 While they certainly constituted a notable example of transnational cooperation, the anti-apartheid movements were quite slow in realizing and exploiting its potential.